OR UWH in the news! Sunday Feb 23 Newport UWH hosted a 3 hour clinic. There were 16 people in attendance from beginners to experts. Thanks to everyone who organized it and who participated! Following the clinic was a pizza eatin’ and glove makin’ hoot-n-nanny at Joe’s. Congratulations to the first time glove makers! OR was representing this year at the Colorado Battle @ Altitude in January. OR players Kevin, Justin, Gary, and Lars (sorry if I missed anyone) joined efforts with Phoenix players, including ex OR player Brian Miller. 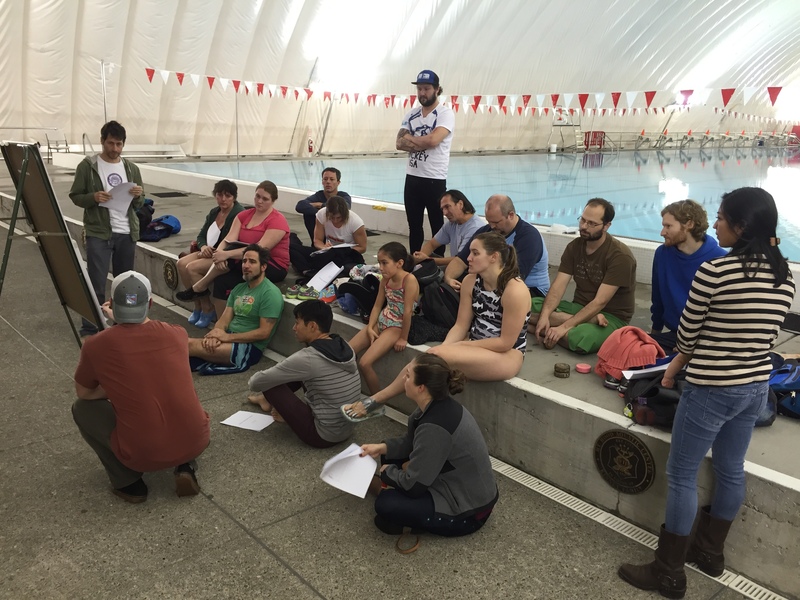 Oregon UWH held it’s first clinic last weekend! 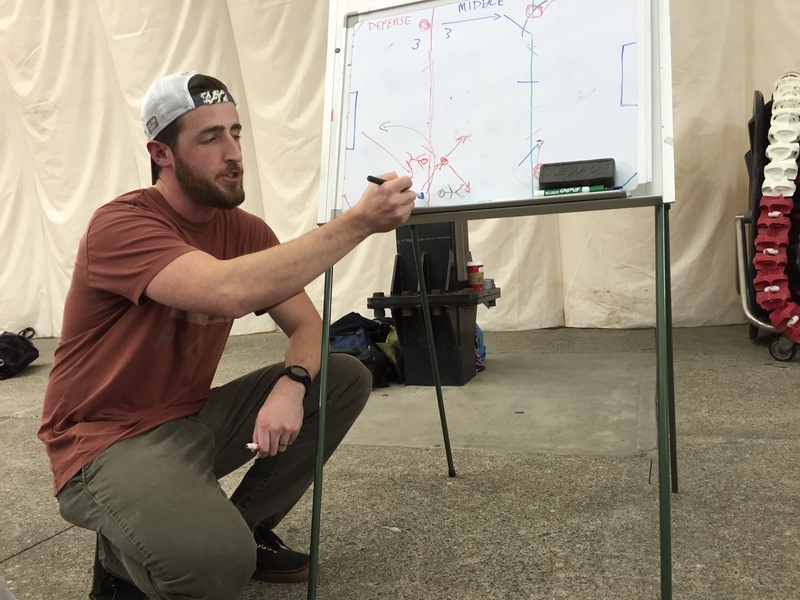 Chris Jolie took us through defensive, neutral and offensive pool zones as well as the basic strategies used for playing in each. If you missed out on the awesome, detailed packet he organized for us, download your copy here! In addition to learning about the playing field, participants were able to cycle through several individual skill stations including, curling drills, stick handling drills and shooting obstacles. then we broke into (2) teams playing several scrimmage games that put all the new information to immediate test in real game situations. Check out the underwater action. Thanks Little Sticks! The evening was topped off at Josh’s home with a delicious potluck and brainstorm session for Team Oregon 2015! Great work everyone. I really look forward to perfecting my skills with you each week! Time to book your calendar for the 2015 36th Annual Victoria Potluck UW Hockey tournament! Date: Sunday, January 18, 2015 : Mark the date in your 2015 calendar NOW! Let me know if you need directions, accommodation or have any other questions. 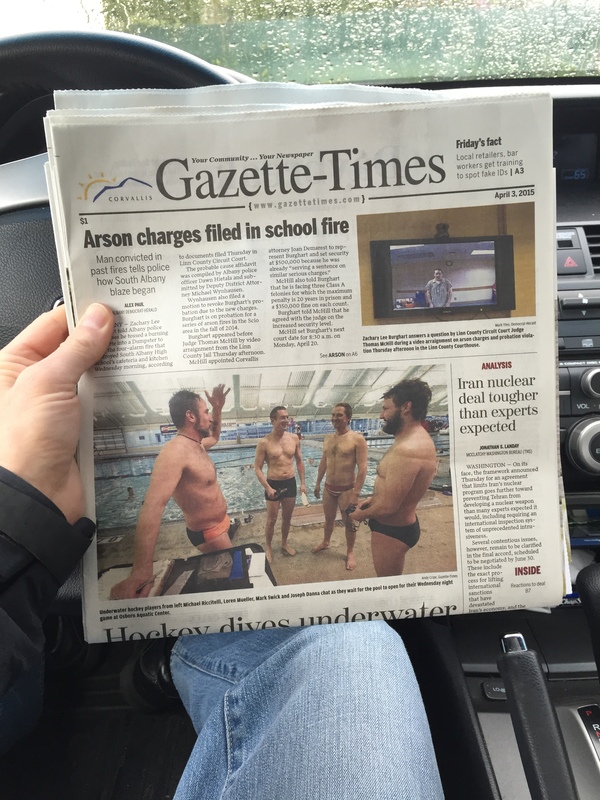 Check out the 4th USAUWH Newsletter! The Clinic will be split into (3) major activities. Starting with dry-land discussion, followed by skills and drills practice and finished with scrimmage play. Jolie is currently a Bend, OR resident and experienced hockey player from the East Coast. In fact, his parents met at a tournament in the 80’s… so you could say UWH is the reason he exists! The clinic is for everyone… No player is too “good” for skills practice or too new to try. There will be information for all to take away to help your game at practice or the next tournament! PARTY immediately following at Josh’s place: It will be a potluck fish-fry (Josh will provide fish). BYOB and a dish to share! Crash space is available at local homes, please let Kim know if you need a Portland area place to sleep on Saturday night.